(1) At least one overnight stop, (2) requires a whole day, (3) requires more than half a day &ndash; you may have time for a few turns (4) arrive by lunchtime and ski all afternoon, (5) there is a main airport within an hour of Whakapapa. (1) There are no buses or taxis to Whakapapa, (3) there are slow or infrequent buses / trains available, (5) getting to the resort is easy with frequent bus / train connections. (1) No places to stay in/near Whakapapa, (3) a few places to stay in the resort, (5) a wide variety of accommodation suitable to suit all budgets. (1) No luxury accommodation available, (3) just one or two luxury hotels so book ahead, (5) several up-market hotels in Whakapapa. (1) There are no child care facilities at Whakapapa, (5) the resort has excellent child-care facilities including at least one reasonably priced creche. (1) Occasionally gets enough snow for skiing, (2) is often closed due to a lack of snow, (3) occasionally suffers from a lack of snow, (4) rarely suffers from a lack of snow, (5) Whakapapa is snowsure even in the poorest seasons. (1) Whakapapa relies entirely on natural snow, (3) there are just a few snow cannons, (5) there are snowmaking facilities on all pistes. (1) There are no snow groomers at Whakapapa, (3) occasionally some pistes are left ungroomed and in a poor state, (5) all the runs at Whakapapa are groomed daily. (1) there is nowhere to ski when it is windy or visibility is bad and lifts often shut, (3) there are some trees for poor visibility but main lifts sometimes close, (5) Whakapapa is mostly in forest where you can ski in flat-light and windy days, lifts rarely close. (1) If snow conditions are poor at Whakapapa, it will be poor everywhere nearby, (3) there are good alternatives within an hours drive, (5) other locations on the same lift pass provide a rich variety of snowsure ski conditions. (1) Whakapapa usually has poor snow conditions compared to other resorts in region, (3) has average conditions for the region, (5) usually has the best snow conditions in the region. (1) The staff at Whakapapa are rude or unhelpful, (5) lift staff at Whakapapa are pleasant, cheerful and eager to help. (1) The ski runs are featureless and unvaried, (3) the ski runs are varied but not extensive enough for a week, (5) Whakapapa has diverse and interesting pistes including forests and high alpine terrain. (1) No intermediate terrain at Whakapapa, (3) intermediate skiers will get bored after a few days, (5) vast areas of cruising runs. (1) Not even a kicker at Whakapapa, (3) average sized park quite well looked after, (5) huge park area and expertly crafted pipes, jumps and boardercross trails. (1) There is nowhere to go for cross-country skiing around Whakapapa, (3) there are some cross country trails available, (5) the area features many spectacular and well maintained cross-country trails. (1) No designated luge or toboggan runs, (3) there are toboggan runs that open quite often, (5) Whakapapa has long and well maintained luge / toboggan facilities suitable for all ages. (1) Overall, Whakapapa is one of the most expensive ski resorts in the country and not worth the money, (3) overall represents average value for money, (5) overall offers the best value resort in the country. (1) Overall, Whakapapa is one of the most expensive ski resorts in the world, (3) overall it offers pretty average value for money compared to resorts from other countries, (5) internationally the resort offers excellent value for money. What a rip off! We love skiing, but not that much. We went there last Saturday, and were really looking forward it. Took 2 hours just to get up the mountain ($50 family of 4) was free last year when showing your pass going down. We tried to get a lift pass and had someone help who can’t speak or understand English. Once in, what a shock! 4 toilets each men/women for thousands of people. Filthy and smelly. The cafe did not have enough food available at any given time for the demand. People were sitting on the staircase because they can not handle that many. We had to stand whilst eating. Overpriced food. By now someone should have noticed the problems and fixed it since they are ripping off visitors. My first ever review and I just had to let everyone know what to expect. We will definitely not be going there again. Keep up all the negative comments about Whakapapa, it will keep the hoards away! Seriously though, I don't know what people complain about. We are lucky to have a place to ski that doesn't require getting on a plane, if you live in the North Island. Whakapapa has all the terrain you could wish for if you are a serious skier with good ability and are prepared to do a little hiking; there are huge wide open slopes, steep bowls and shutes and great snow if you go on the back of a weather system. There is also great challenging terrain that is lift accessed if you're prepared to do some long traverses. I've been skiing Whakapapa for 45 years and have skied at a lot of overseas resorts but I still love our home ski field. Went to Whakapapa Ski Field on Tuesday 18th July 2017 with the family; glorious sunshine day, a mass of visitors. There was chaos everywhere when trying to book tickets, but some staff were quite rude especially down in Happy Valley. When we asked the lady how to get tickets in the sledge area, she loudly stated, "I can't speak to you over this fence (a metal gate) get in front of me." Another area where we were waiting inside to get ski lift tickets, another of the staff confronts a group of us in line "Where are you going, I'm going that way pointing through us" It was more of the tone used in both these statements (which in my view reflected a touch of arrogance). Not wingeing just pure observation, that could reflect not good for our Maori staff. Whakas....love the place; best terrain in the country, without a doubt, when it's on. Such a unique place to ski and ride. Yea, it gets nailed by weather at times but on a good day ya can't beat it. Ya can stick Qtown and their average terrain and pissed Aussies. All the whinging about weather and staff and bla bla generally comes from Aucklanders with to much money. One suggestion for them: go to Qtown! This is a difficult mountain to get a good day's skiing. If its the weekend and fine then it can be very, very crowded to the point of unbearable. There are many windy days when the lifts do not run. The mountain management seem to cater for day tripping families who hire gear and go to Happy Valley. After 25 years observation I believe there is little interest in the serious skier. It must be a hard field to manage given the unpredictable and unsettled weather that prevails. An absolutely outstanding season! Best in many years. Staff were excellent. Went to Turoa twice this year; great terrain but way more icy than Whakapapa. 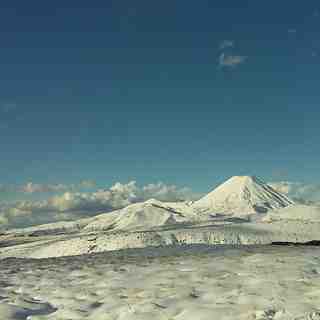 Spent most time at Whakapapa. Black Magic was awesome, it was even wicked on the second last day of the season. I love the "Magic Mountain." It is my heartland. Great day at Whakapapa Sunday 13th but once again often no staff to sort lift lines and when staff were there they stand there doing nothing as people get frustrated with line chaos. Never ever seen a senior staff member cruising around checking how things are running. 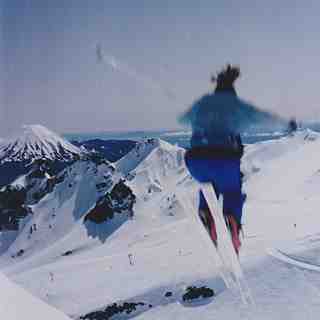 Skied Whakapapa for many years. Still think it is an awesome mountain. Bluebird day yesterday and it was disappointing to see staff in a hurry to close chairs and T-bars. They are advertised to be open till 4pm and as such they should be. Expensive day passes last 'till 4pm.